Radicular pain is pain that radiates from the spine down an irritated spinal nerve root. Irritation of a spinal nerve in the low back, called lumbar radiculopathy, causes pain that typically travels down a leg. Cervical radiculopathy describes pain that travels down an arm. Epidural injections are also used to treat nerve compression in the neck (cervical spine), and well as the low back (lumbar spine). Typically the Epidural Steroid injection procedure involves injecting a “cocktail” of two or more medication into the epidural space, where irritated nerve roots are located. This injection includes both a long-lasting steroid and a local anesthetic. The steroid reduces the inflammation and irritation and the anesthetic works to interrupt the pain-spasm cycle and pain signal transmission function of the nervous tissue know as nerve roots or the part of the nerve when it first originates from the spinal cord. The “cocktail” of medicine then able to spread to other levels of the spinal nerves because of the anatomy of the nerves and spine, reducing inflammation and irritation. 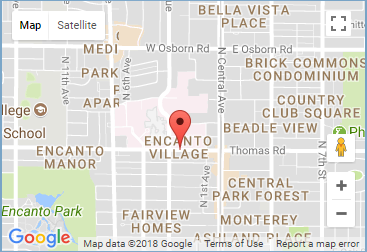 Amazingly the entire procedure usually takes less than fifteen minutes. Intralaminar Epidural Steroid Injection: (Between your spinal vertebrae) at the level of pain and typically one or two levels above and below. Current studies for interlaminar epidural steroid injections show there is strong evidence for short-term relief and limited for long-term relief in managing radiculopathy. Transforaminal Epidural Steroid Injection: The injection is in area where your nerve root leaves the spinal column called the interforaminal foramen. There is powerful confirmation suggesting that transforaminal ESIs are effective for short-term and moderate for long-term improvement in managing lumbar back pain. 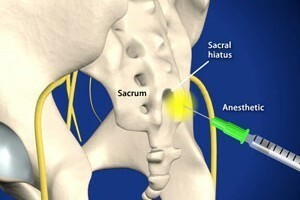 Caudal Epidural Steroid Injection: This injection is low in the area of your sacrum as a matter of fact there is a boney canal in your sacrum called the sacral Hiatus (opening) where the medication “Cocktail” is injected and then it flows over the lower sacral nerves. The evidence for caudal Epidural steroid injections is comparable to that of the transforaminal Epidural steroid injections. Do Epidural Steroid Injections hurt to receive? Steroid Injections are considered to be routine and relatively painless. Approximately 72% of patients experienced immediate pain relief in a 2007 research trial to evaluate the usefulness of a cervical interlaminar epidural steroid injection in patients with neck pain and cervical radiculopathy (Kwon 2007). If pain relief is only moderately achieved with the first injection then another injection can be given in 2 weeks and may provide additional relief. The use of multiple injections was studied by the Department of Anesthesiology and Intensive Care at the University of Pavia, Italy and they concluded that therapy with multiple Epidural Steroid Injections did in fact provide better control of chronic neck pain compared to that with a single injection. If your first worked well to help relieve your pain, and chances are it will help, you are a candidate for up to two more injections!! Epidural Steroid Injections are considered an appropriate non-surgical treatment for many patients who suffer from back and neck pain. Although ESIs are considered safe and are one of the most commonly performed procedures in the world, there are risks associated with the procedure. The major risks associated with this procedure involve bleeding, infection, post-dural puncture headache, and nerve damage.